Serene, spiritual and sublime – Varanasi remains a perfect sojourn for those seeking the ultimate meaning of life. This one of the oldest surviving cities in Uttar Pradesh has been luring travelers from far and wide with its spiritual vibes. Varanasi has spiritual legacy which goes back to over 3000 years. The city has beautifully preserved its old world charms. With holy river Ganga flowing, serene ghats, thousands of temples all around and pilgrims humming spiritual chants, Varanasi beautifully depicts real India. 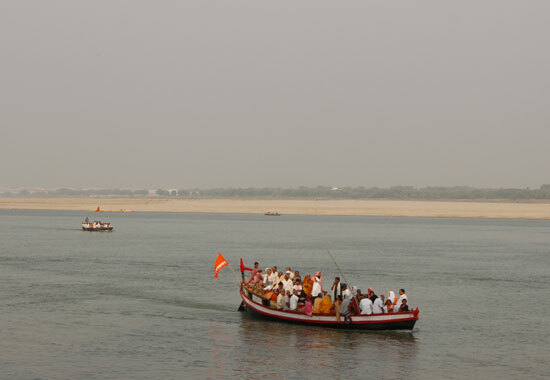 Take an early morning or evening boat ride on the holy water of River Ganga for some beautiful moments of serenity. Varanasi or Banaras is the oldest living city of the world with history going back to 3000 years. Also renowned with the name of Banaras or Kashi, Varanasi is one of the oldest cities on the planet. Numerous archaeological evidences have been found here which underline the fact that the history of this city goes back to 1200 BC. It has witnessed many human generations and has won the status of cultural capital of India. According to Hinduism, Varanasi is the City of Lord Shiva. People visit here to purify their souls and get drenched into Vedas, Upnishadas, and Puranas. As per the Hindu mythology, once Brahma and Shiva had a fight and Shiva torn off Brahma’s one of the five heads. Shiva carried it everywhere with him and ultimately dropped it in Varanasi, which made this city extremely holy. Varanasi is home to more than its fair share of temples. Every nook and corner here has a holy shrine dedicated to a Hindu deity. Pilgrims visit here to attain salvation and to devote themselves to the powers of spirituality. 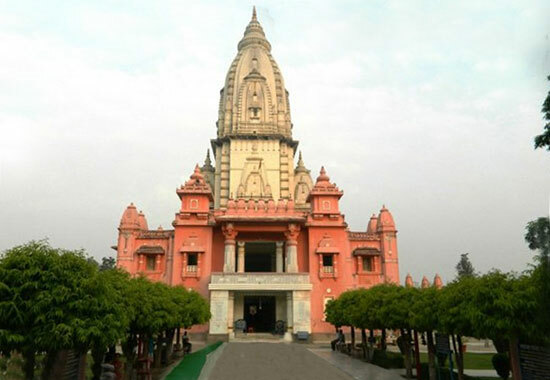 This temple is located inside the Banaras Hindu University (BHU). It was built by the famed Birla family which is the reason why it is also known with the name of Birla Temple. The big complex of this temple is home to 7 temples. Shiva temple here on the ground floor is a major one. The walls of the temple have been beautified with texts from Gita. This temple has earned popularity due to its unmatched architecture and wood work. 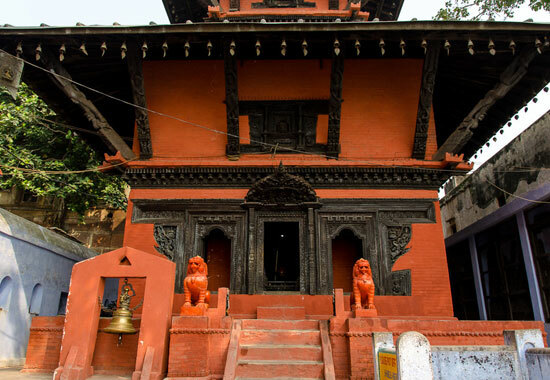 It is said that this temple was raised by King of Nepal. It edges the Lalita Ghat and is a serene place to meditate. Other than temples, Varanasi has beautiful list of ghats which keep travelers hooked to this popular city. In the South of Varanasi sits the very popular Assi Ghat. Devotees of Lord Shiva visit this ghat to perform various rituals. Evening aartis at Assi Ghat are extremely popular and remain one of the best experiences here. This is another popular ghat of Varanasi which remains flooded with pilgrims. It is believed that Lord Brahma sacrificed 10 horses here during a major yajna. The beauty of this ghat is spellbinding and it is perfect for performing Ganga aarti. 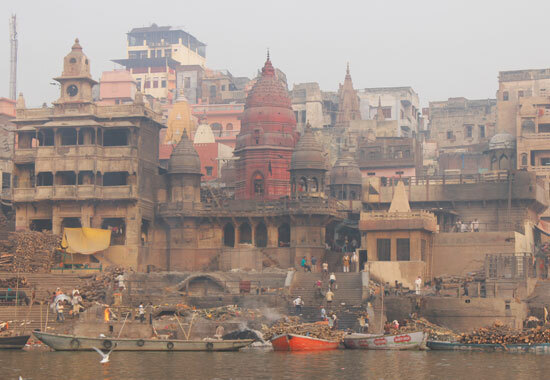 Manikarnika Ghat remains one of the most popular spiritual places in Varanasi. 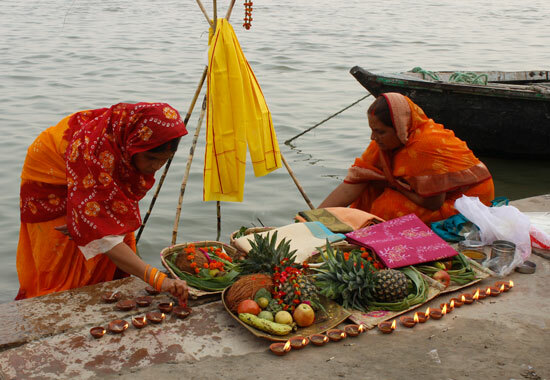 People visit here to offer prayers, to light clay lamps and to worship the holy river Ganga during evening hours. Sit here for a while and you will be showered with seamless serenity. 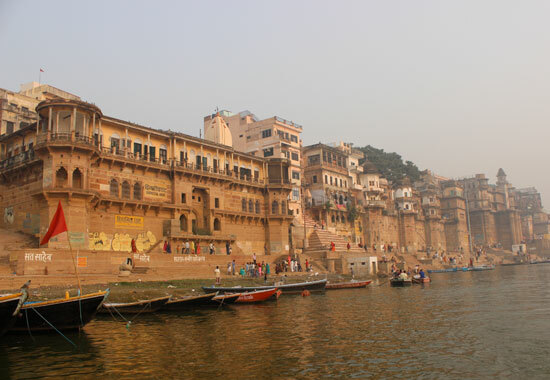 Varanasi has 84 ghats, which make it the city with highest number of river banks in the world. Varanasi lets you forget your senses. From visiting the most ancient temples to relishing a serene walk around the ghats, every activity here bestows mental solace to the deepest. Being a part of one of the evening aartis along the banks of River Ganga is a must in Varanasi. These aartis fill the air with boundless spirituality and lets you understand the devotion of locals for their religion and cultures. 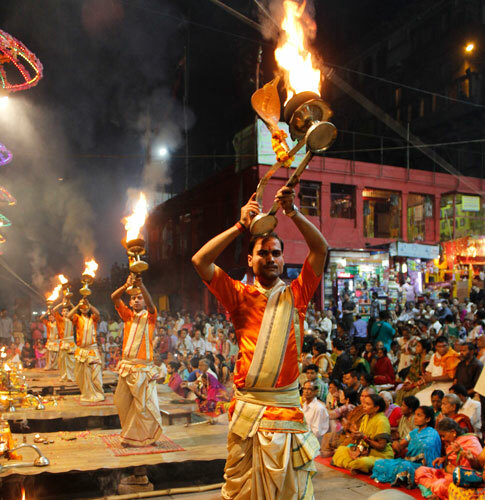 The aarti ceremony at the Dashashwamedh ghat is extremely popular where thousands of locals and travelers gather every evening. Capture sights of huge lamps, humming of prayers, and floating clay pots on the shimmering water of River Ganga here. The ghats of Varanasi make perfect places to escape the stressful life and enjoy serene walks. From here you can relish thousands of temple bells ringing in the background. Pilgrims can be seen here washing away their sins by soaking themselves into the water of River Ganga. 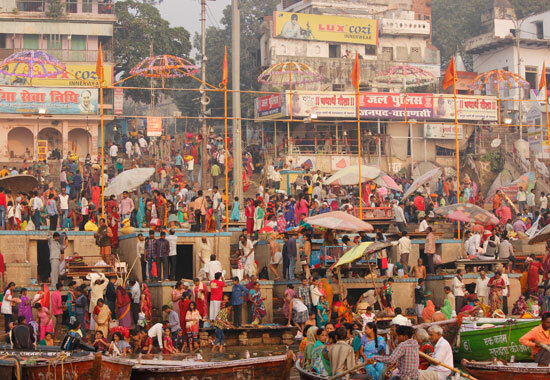 Assi Ghat, Dashashwamedh Ghat and Manikarnik Ghat remain most popular ghats in the city. It is believed that taking a dip into the holy water of River Ganga washes away all your sins. 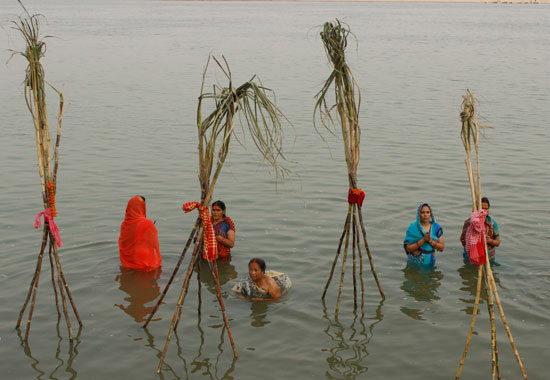 That’s why pilgrims can be seen taking a bath here and worshipping the Goddesses Ganga. Take a boat ride on the pristine water of River Ganga early in the morning to capture the most beautiful sunrise of your life. Most of the hotels here arrange early morning boat trips to give vacationers an awe-inspiring experience. 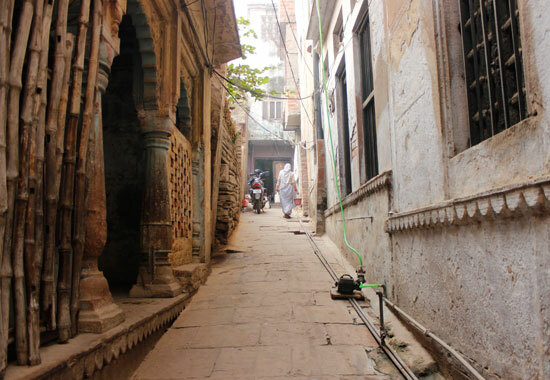 Exploring every small nook and corner of Varanasi like a local bestows a beautiful experience. Most of the lanes here are lined up with shops and food stalls selling local food items. Locals here are welcoming and would love to share some interesting local fables with you. Banaras Hindu University in Varanasi is one of the largest universities on the planet offering studies in Hindu scriptures- Vedas. 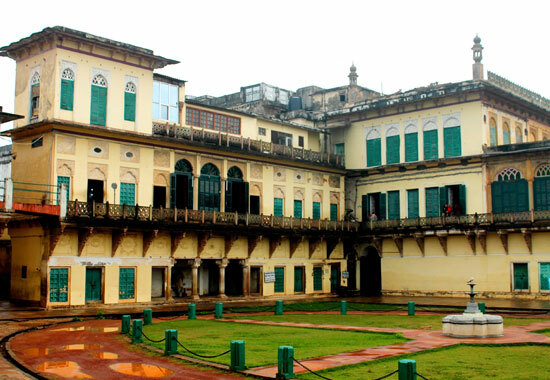 Ramnagar Fort is one of the most popular historical wonder of Varanasi. It was built by Raja Balwant Singh in 1750. It flaunts remarkable Mughal style of architecture and brings numerous history as well as architecture lovers. The fort houses balconies, pavilions and open courtyards. A visit to Sarnath is must for every traveler holidaying in Varanasi. 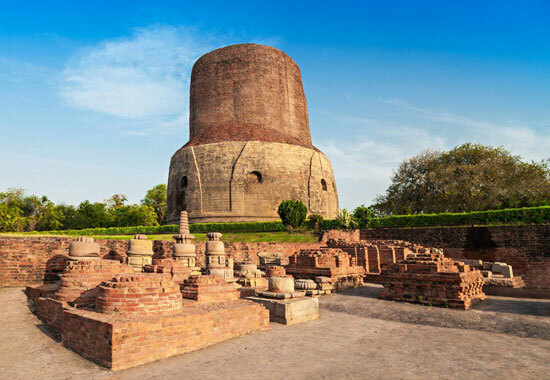 Located at a distance of 13 km northeast of Varanasi, Sarnath is a significant Buddhist pilgrimage which lets you soak yourself into bounty of peace. It is said that Buddha gave his first sermon here after attaining enlightenment at Bodhgaya. Some of the most popular places in Sarnath include Dhamekh Stupa & Monastery Ruins, the Chaukhandi Stupa, the Archaeological Museum, etc. Varanasi houses more than 23,000 temples, portraying the richness and history of Hindu cultures. A shopping spree in Varanasi takes you to the closely knitted streets of the city flooding with cultures. Varanasi is a paradise for shoppers. From here you can bag beautiful Benarasi saris with zari borders. The State Government run Shopping Complexes of the city are perfect to buy local souvenirs at reasonable prices. Godowlia Market is the busiest street market here. Chowk & Vishwanath Gali are also lined up with colorful stores selling traditional silk sarees, stoles, and bed covers. As the streets of Varanasi are extremely crowded, keep your personal belongings safe. Always use your bargaining skills while taking rickshaw rides as most of the rickshaw pullers charge high. Approach 2-3 boatmen before settling down to one. Bargain the rate they share and do ask them for how long the ride will last. Politely decline men approaching you for donations near the cremation grounds. Before clicking pictures at various temples, always seek permission to avoid hurting the beliefs of locals. Clicking pictures of cremation fires is not recommended. The best time to travel to Varanasi is between the months of October and March when the city experiences cool winter breeze. This is a perfect time to stroll around the ghats and experience the beauty of River Ganga by taking an early morning ride. Pilgrims visit Varanasi to wash away their sins in the holy waters of River Ganga and to achieve Nirvana. Varanasi has an international airport which links the city with all major destinations in India as well as abroad. Varanasi can be easily reached by train. Varanasi Railway station receives nearly all trains passing through northern India. Numerous state run and private buses connect Varanasi with all parts of Uttar Pradesh.